1. The silky down inside the seed pods of a silk-cotton tree (kapok tree) Ceiba pentandra, of Indonesia, Africa and tropical America. It is used for stuffing pillows, life jackets etc. and for acoustical insulation. It is also called Java Cotton. Kapok tree pods, Madeira. Author: Veleta. Wikimedia Commons. 2. 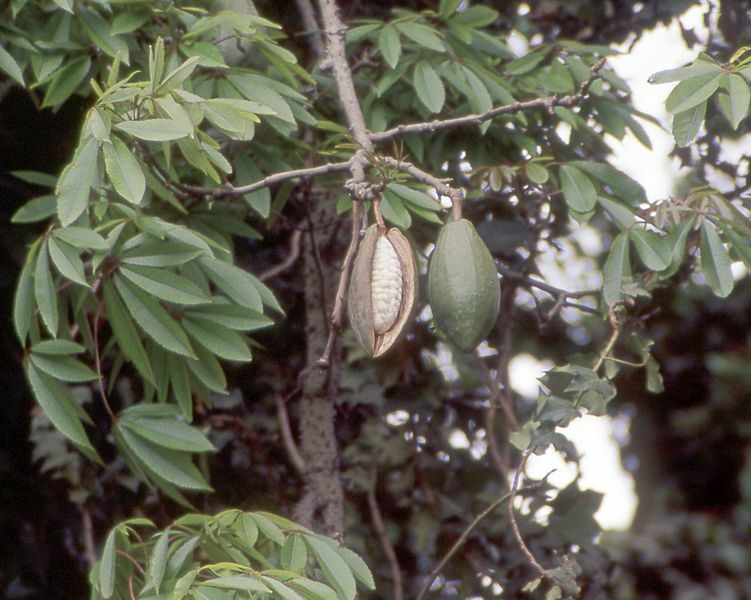 A massive tropical tree with deep ridges on its huge trunk and bearing large pods of seeds covered with silky floss – the source of the silky kapok fibre. 1740-50; < Javanese (or Malay of Java and Sumatra) kapuk or kapoq the name of the large tropical tree which produces the fibres. 1. 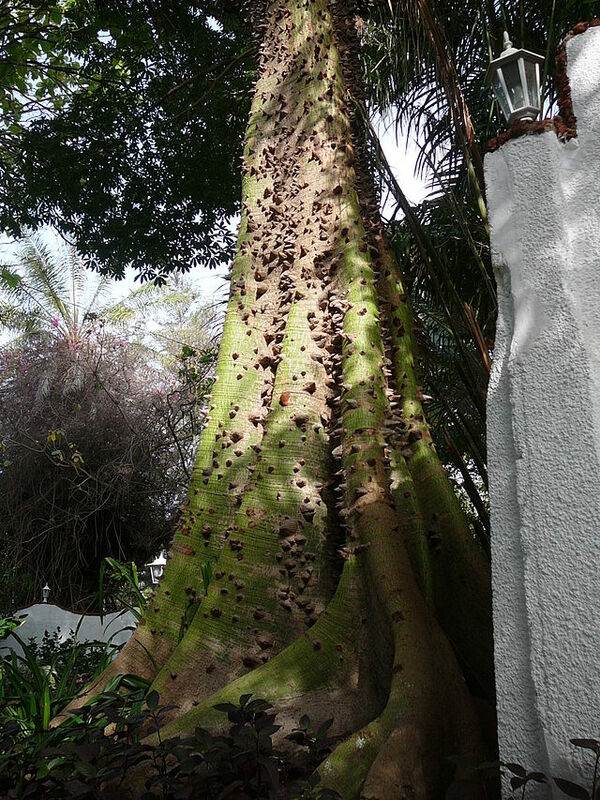 They say that when the kapok tree blooms it is time to gather the crocodile eggs. 2. Viewing platforms have been constructed in the tall kapok trees to allow tourists to look out over the rainforest canopy. 3. 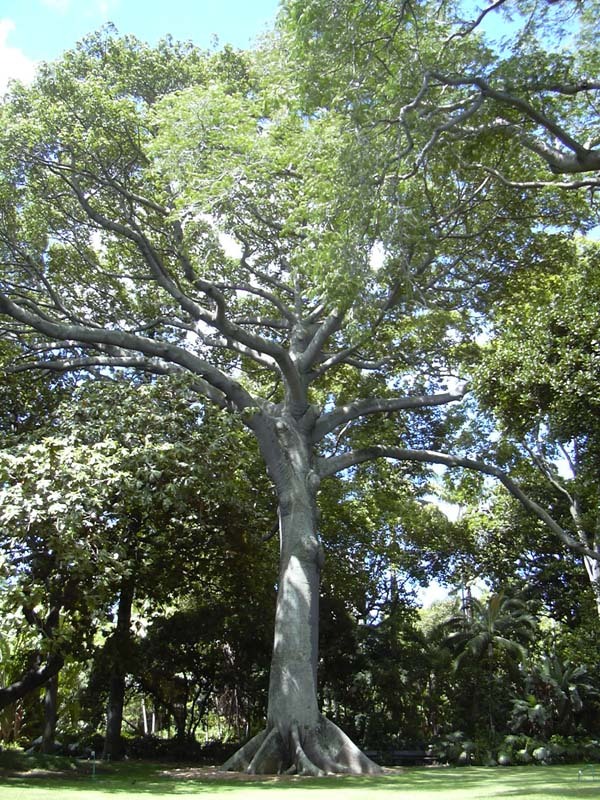 Emergent trees like the kapok rise above the rainforest canopy and provide a home for plants dependent on sunlight. 4. Naturally silky and resilient, kapok is the traditional stuffing for sitting cushions, in addition to cushions used by people who meditate in the kneeling position. 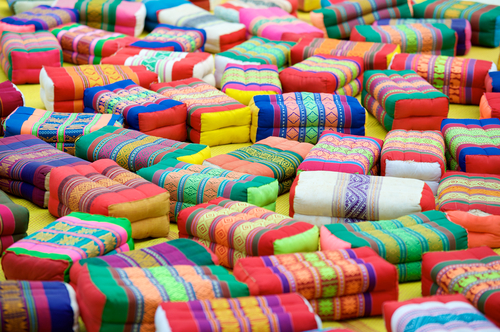 Colourful monk’s prayer or meditation cushions scattered in the courtyard of Wat Pho temple in Bangkok. Image from Shutterstock. I’m trying hard to leave my geography teaching days behind, Scribbley. I just enjoyed finding pics for the kapok tree. 🙂 There weren’t too many words beginning with K that I liked (or could illustrate). Next week should be better with L.
In and around Potgietersrus(Mokopane) South Africa where I lived before moving to NZ were many Kapok trees. They had those thorny trunks and had big pink flowers. 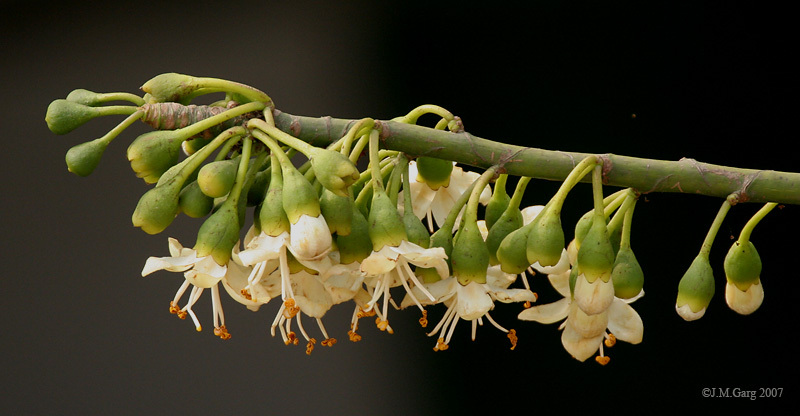 They were usually the first trees to start flowering after winter. I think I must have a look and quickly do a post on them. I liked the word too Millie…thank you for the research..
And now that you mention it, I have, intact, seen these trees… When I was young and used to visit my grandparents (mom’s side), the roads near their town used to be lined with these trees… if I’m making the right connection here, then yes, I’ve seen them and also touched and plucked and played with them.. heheh! I’ll surely check out Scrapdotwo’s post. Thanks for telling me Millie! Hahahaha – I grew up with these trees. 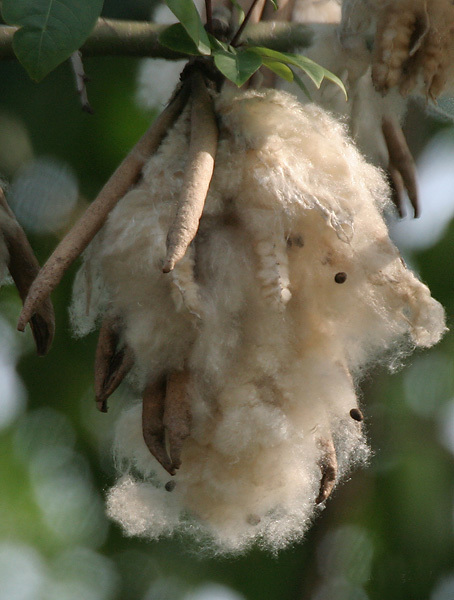 One of my many jobs was collecting the kapok seeds, separating them from the fluffy part that mum sewed into our pillows. This is wonderful, thank you. What happy memories for you. And first-hand knowledge of the pods and fibre, too. How great is that! 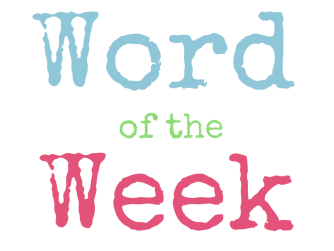 Were your trees white or pink flowered? I could only find pictures of the white ones, but Scraydotwo posted some lovely photos of pink-flowered ones after she’d read my post. They were taken when she lived in South Africa. They were white. But I must thank you Millie – I forgot all about that experience until you reminded me. I might include that in my story. My great uncle had the tree and the whole village shared the kapok for pillow. It was so long ago. Oh you are making me laugh! I have to ask my mother about the tree – they cut it down when I was away in high school.